Columbia residents gathered Wednesday night to share what they are looking for in their next city manager. Residents emphasized searching for a city manager who will be a problem solver, a good communicator and accessible to all members of the public. Some residents specifically named community policing, public transportation, fair wages for public workers, aging infrastructure and climate action as issues the next city manager should be ready to address. Kay Callison, who is active in Columbia’s League of Women Voters, says a major focus of the meeting was Columbia’s diverse population. “To me, it was the combination of people being very concerned about them recognizing the uniqueness of Columbia as a community,” she said. Callison, among others, says she hopes the next city manager sees Columbia as a growing urban area, rather than just a university town. CPS HR Consulting plans to look nationwide for candidates. 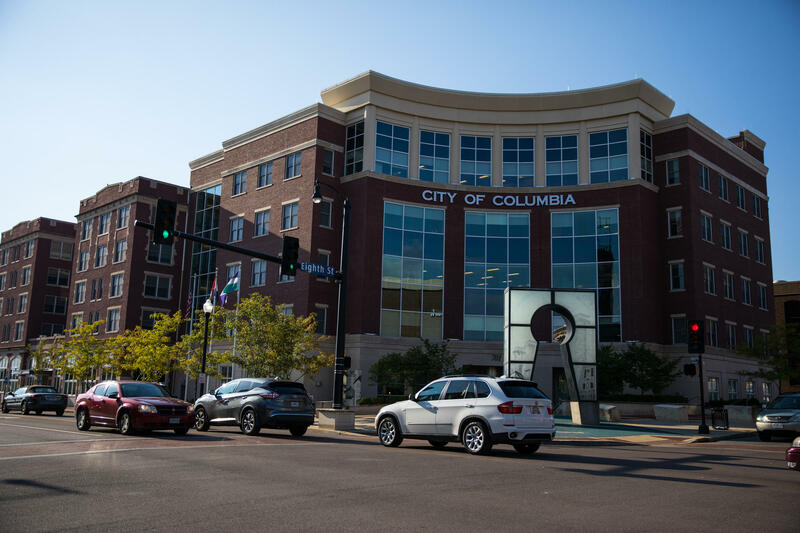 Residents debated whether the next city manager should be from Columbia. Some said a candidate already familiar with the city’s problems would be best fit to solve them, while others said an outsider to Columbia could have valuable experience from another part of the country. Mayor Brian Treece said the city will hire who is best for its future. “We’ll go out and look for potential city manager candidates that fit [the community’s desired] profile, whether that’s from a community with a similar sized population as Columbia, or from a college town we aspire to be like, or maybe someone with specific skills or experience managing a public transit system or reforming a police department, and try to identify those best practices or innovations we may want to bring to Columbia,” he said. Andrew Nelson, executive recruiter at CPS HR Consulting, says Columbia is unlike other cities he’s recruited for because of its passion for civic activity. “What I have found different [in Columbia] is the intensity of public engagement, of media scrutiny, and the need to find resolutions and solutions to social equity issues about the police department and the city’s delivery of services in general,” he said. CPS HR Consulting is meeting with prominent local groups and organizations to help in their search. Some of these groups include Columbia Public Schools, Heart of Missouri United Way, MU, Race Matters, Friends and Stephens College. Columbia City Council hired CPS HR Consulting in January following former city manager Mike Matthes’ resignation in November. The firm will begin “aggressive recruiting” for the position across the country in March and plans to start the selection process in April or May. The firm is holding another input meeting Thursday, February 7, at 11:30 a.m. in the city council chambers of city hall. Treece says residents should make their voices heard in the search and selection process for the city’s next city manager. “This is one of those rare opportunities for people to provide input on who their next leader is,” he said. The city will also post a public survey to CoMo.gov in the coming days for those who could not attend the meetings.